ERP Software Providers For Industries In India | PCSOFT ERP SOLUTIONS PVT. 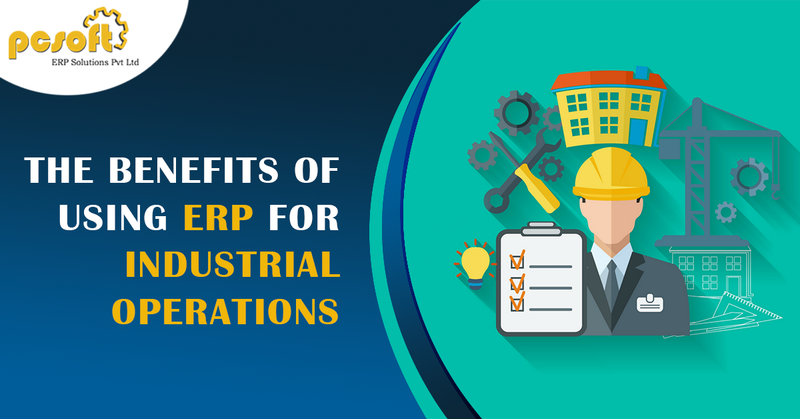 LTD.
PCSOFT has developed pre-configured ERP renditions for a variety of Industrial Verticals that helps numerous enterprises stay agile and competitive. PCSOFT recognizes that business processes across varied industries differ in terms of their unique requirements. Each rendition has been crafted according to the idiosyncrasies of a specific vertical. This approach is advantageous as it solves your business challenges; henceforth is more time efficient. Whether you’re a pharmaceutical giant, an auto parts supplier or simply, an assembly setup, PCSOFT can provide you with an ERP rendition that has been pre-configured specifically for you. 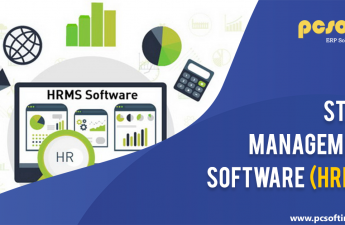 Typically, an ERP combines multiple traditional management functions into a logically integrated system, in order to facilitate the flow of information across these functions. It is designed to model and automate basic processes across the organization over a centralized database and simultaneously, eliminates the need of disparate systems maintained by various units of the organization. The manufacturing industry is highly dynamics, competitive in nature and a key industry to the working of an economy. It is imperative for businesses of this nature to have an integrated solution that can enhance efficiency, diminish costs, increase sales and profitability. 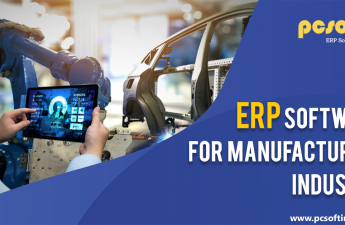 Most importantly, implementation of the ERP software in the manufacturing industry enables an organisation to make accurate, informed and strategic decisions. ERP technology essentially integrates all aspects of business (resources, operations, monitoring reporting, sales, accounting, finance, etc.) and empowers businesses to function smoothly by maintaining a single database. Similarly, retail is one of the fastest growing sectors in the world right now. As the sector grows, so do the problems in managing it. The retail sector is made up of a series of sub-sectors and managing them efficiently is imperative to maintain or increase the profits. Today, most traditional retailers operate on tight margins and face increased competition from new retail formats such as e-commerce. They have to deal with constantly moving stock, the high number of employees at multiple retail outlets, different pricing, discount and loyalty rules applicable for a plethora of products. Furthermore, in order to stay ahead of the pack, retailers need to improve and streamline their processes constantly. This is where a retail ERP software steps in. Inventory can be expensive. More businesses are striving towards maintaining lean levels of inventory while at the same time maximising their ability to fulfil customer orders. With and ERP warehouse management system, you can maintain advanced control of your inventory, only ordering items when you need satisfy a certain level of demand. Above all, this software enables industries to make accurate, informed and strategic decisions. An enterprise resource planning system might be the answer to all these requirements. ERP technology integrates all aspects of business (resources, operations, monitoring, reporting, sales, accounting and finance, etc.) and empowers them to function smoothly by maintaining a single database. Automates and Streamlines Business Processes with greater Adaptability: A complete ERP solution streamlines business processes and drives automation for manufacturing organizations. By streamlining the processes, all data is available in a centralized location with complete visibility in all functionalities—development, designing, inventory, procurement, production, finance, sales, delivery and more. Furthermore, any personnel can monitor the production status in real time, without any dependence on an individual or team. This not only accelerates the production process but minimizes errors and improves profitability significantly. Respond to market conditions quicker: ERP systems provide real time data analysis that helps businesses estimate, plan, adjust and respond to changing market requirements better. Decision makers refer to system generated reports on regular intervals to understand the varied market demands and capitalize on customers purchasing trends. Detailed insights give managers a 360 degree view of helping them to reduce forecasting errors and capitalize on new opportunities if available. Customer Management and Satisfaction: Anyone in retail would understand the importance of customer satisfaction as there is always a fear of losing them. ERP in retail could play a vital role in customer management and retention. ERP operates on information; information that can be vital once you analyze. For instance, you can sort the purchase history of customers and pick the most active ones, showering them with reward points. With respect to both warehouse and manufacturing industries, having a sophisticated ERP solution ensures that you always have sufficient quantities of products in stick. Additionally, they offer data in real-time so decision makers can get a realistic view of inventory levels at any time. Point-Of-Sale (POS): A PoS system is new compared to traditional sales methods, but it has become increasingly vital in the retail industry. PoS machines typically oversee the transactions happening in any retail outlet. A major advantage of PoS machines is that it automatically feeds the transaction details into the system, thus eliminating the need for extra effort and the scope of human errors. Integrated ERP: The cloud has enabled ERP to become more integrated with other business systems such as E-Commerce. 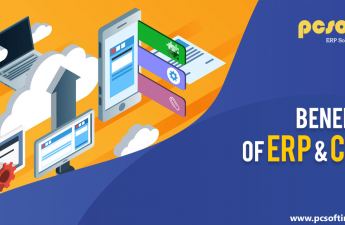 Integrating ERP in your E-Commerce portal is a smart idea, as it acts as a medium between your commercial site and the backend (accounting and inventory). This combination is extremely efficient as it ensures the bidirectional flow of information. BY taking advantage of these benefits, clients can increase the overall experience of their customers and can also achieve efficiency in operations. Reduced Costs: An ERP system helps businesses to reduce the overall operational cost as manual, time-consuming processes are replaces by streamlined processes with real time business information. Additionally, by increasing worker productivity, the ERP solution minimizes labour expenses, enhances precision and lowers error rates. Ability to track inventory accurately and integrate it efficiently with production planning eliminates excess inventory and warehousing costs. Lastly, improved organization visibility helps the management make savings wherever possible. It would not be an exaggeration to say that ERP is indispensable to any of the three industries—manufacturing, retail, and warehouse. Given the fierce competition today, the various advantages of ERP as mentioned above, will only allow you to have an edge over your competitors. PCSoft ERP Solution is the ERP software providers for Manufacturing Industries, Warehouse Management and Retail Industries in India.